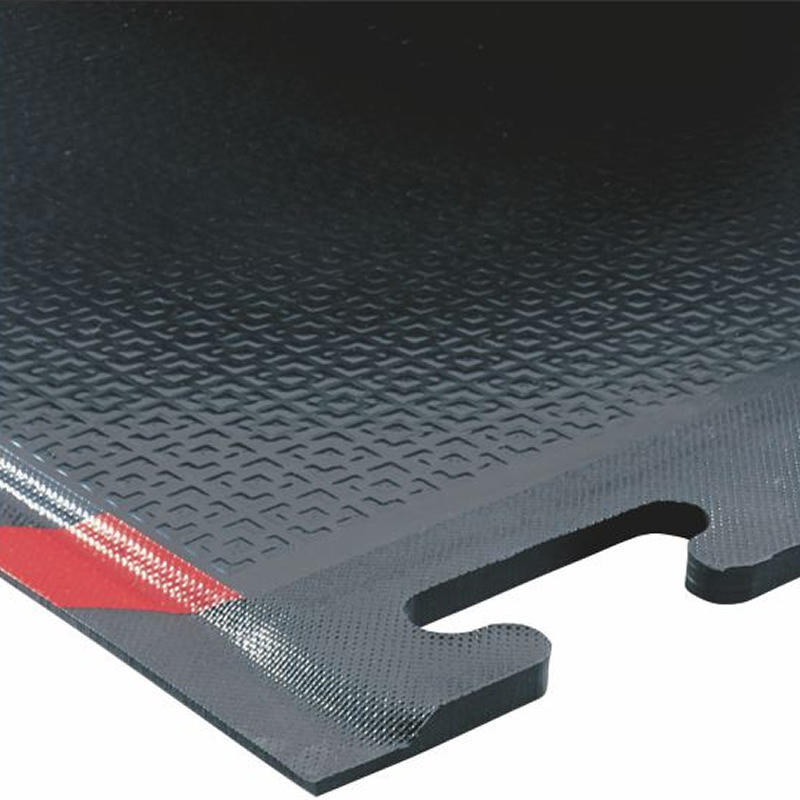 Quality Happy Feet™ mats, now with linkable sections. 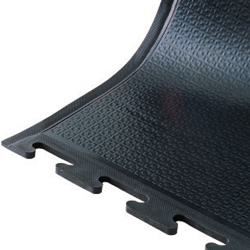 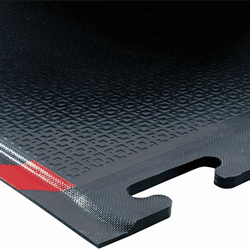 • Electrically conductive 100% Nitrile rubber surface resists oils, greases, chemicals, and sparks from welding stations. • Available with OSHA colored borders for added safety. 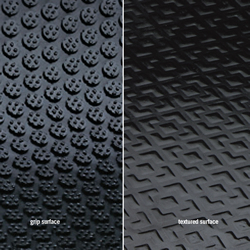 • Select Textured for dry/damp areas for traction and pivoting. 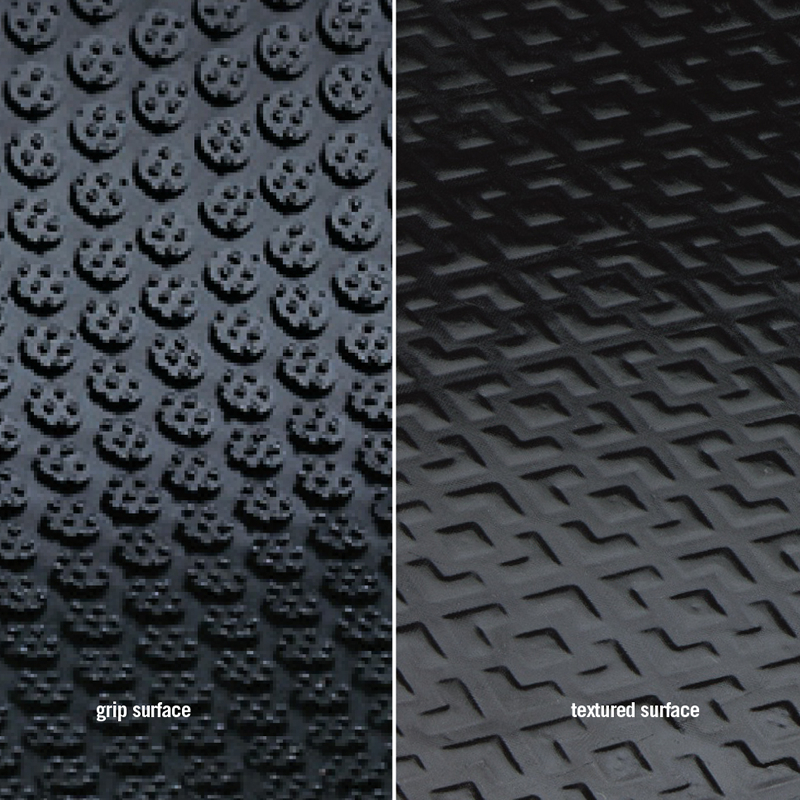 Grip surface is recommended for wet areas for high stability. 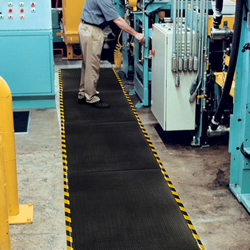 • Happy Feet™ Linkable's construction stands up to tough industrial and assembly settings.